I have just received a delivery from Amazon, two weeks late. Let me put this into context for you. 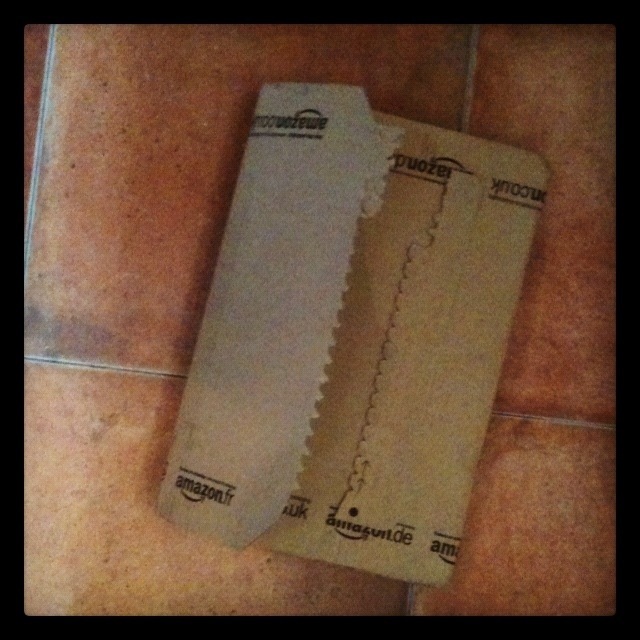 Amazon packages are a little like crack for the ex-pat. The anticipation is enormous. On receipt of them a change in normal behaviour patterns may be observed: a withdrawal into the home, with much time spent behind closed shutters. Late at night, questionable decisions are taken, with the phrase ‘just one more won’t hurt’ muttered frequently. Ah, the boxed set dvd marathon. Or latest page-turner. In your native language. It’s so difficult not to overdo it. There is nothing better at the end of a hard day of struggling to think and speak and comprehend in a new language and culture than to slump on a sofa, stick your mind into neutral and let yourself be transported somewhere where you get all the jokes and understand all the references. Without even having to try. 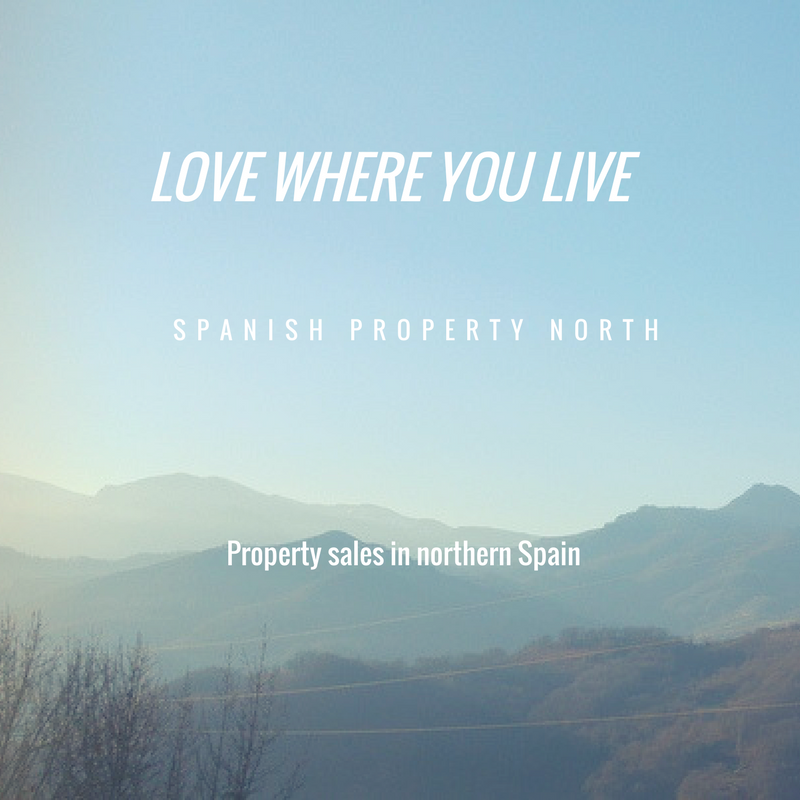 When we first moved we were amazed to discover that amazon.co.uk would deliver here, to the mountains of northern Spain. We could order the latest English language books or dvds at Amazon’s knockdown prices on a Monday and have them with us by the Friday. It was like magic. It almost felt like cheating – we were ‘getting away from it all’ but taking Amazon with us. As time passed, Amazon extended the range of goods that they would ship overseas to include things such as electronic items and toys. As our dependence on boxed sets decreased over time we found other needs to fill. They even introduced free shipping for orders over £30. Since then we have not received a single Amazon delivery without a string of complications. One even ended up being returned to the UK after a lengthy sojourn in Alicante, some thousand kilometres to the south of here. That, I discovered, was because our address and post code don’t appear on the MRW delivery database – so it seems someone just took a stab at it. Apparently nobody thought to try Google maps. Or asking me. Bearing in mind we receive LOTS of packages a year from Amazon, all via the same driver, you’d think any kinks would have been worked out by now. We’ve even given our authorization, repeatedly, for them to leave any package with our neighbours so that they will never have to waste a journey if we happen to be out when they attempt delivery. Simples. You’d think. This time round we placed our order (for a boring but essential text book) and then promptly forgot about it. Weeks later, having heard nothing I go to track my order on Amazon, where it is stated that delivery was attempted 12 days ago. When I was in. And with no note left or text or phone call to advise me of this supposed event. I email Amazon, who respond promptly and courteously with promises of chasing it up (although with a disappointing negative on my request for reverting to the regular mail) Another day passes. The day after that I receive a text message from MRW to the effect that my package will be returned to Amazon if I don’t go pick it up from their offices, like NOW. I rush down to their office, where they can’t find the package. After much hunting, a call to the driver confirms that it’s out in the van. So why the text? Oh, that had nothing to do with them, that came from the Barcelona office. God give me strength. Ah yes, procedures that encompass countless back and forth phone calls between me and their local offices and me and their Madrid offices, text messages from their Barcelona office and emails with Amazon. Procedures that eventually culminate in me weeping softly whilst banging my head on the kitchen table the very delayed delivery of my order. What on earth was I thinking? We couldn’t possibly skip all that out. I’ve linked this post up to the Expat Blog hop at Windmill Fields. Click here to see more posts on the theme of shopping for expats! This is such a hilarious way of poking fun at oneself caught up in consumerism. But I totally understand your need to “veg out” with dvds at night, after working so diligently at the Spanish all day! Procedures, mo-see-dures! I have the same need to veg out and I am still in the UK. Hassle amazon – they gave me a nice voucher when we messed up an order, entirely our fault and complicated to sort, but they didn’t return MY call – ha! £10 off my next order – result. LOL at your post, loved how you described Amazon as Expat crack!!! So true, I get obsessed when I am going to receive a package but it is such an important part of expat life. Oh it is nice to get packages from home, isn’t it? Thanks for stopping by and for the blog hop – I’m looking forward to checking out all the other posts. I’ve not ordered from Amazon here in Cyprus as the delivery charges are usually ridiculous, it drives me mad as they (and many other sites) do not class us as being in Europe – ok we may not be attached to the main land mass but NEITHER is the UK! Have you tried Play.com – they deliver free (even to here!) and I’ve never had any problems with them. Thanks for the tip – I’ll check them out. To be fair, it’s actually the couriers who give us problems – they don’t seem to have heard of maps, gps or using a phone, as far as I can tell! Just yesterday I was driving home from work and saw a DHL man looking lost and wandering into a bar 7km from here – luckily I happened to know we were expecting a delivery from my partner’s work so I stopped to ask if he was looking for us and sure enough he was. It’s not like our village isn’t signposted or anything!